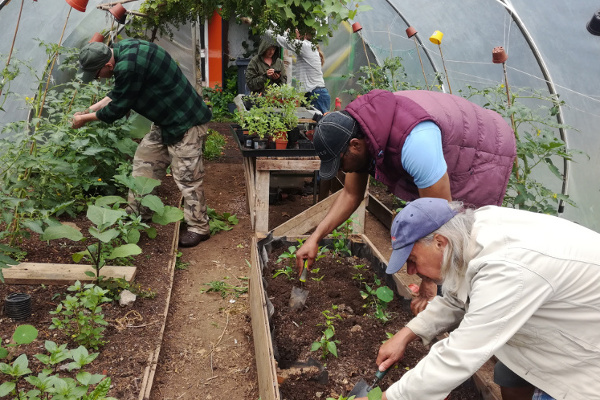 Based in Trinity’s Community Garden, your role will be to recruit and work with a Project Assistant to develop and deliver accessible outdoor activities for local children and families; permaculture, foraging, growing, harvesting, nature learning and play. Your role will be to support local residents within our immediate locality to develop and deliver their own activities based within the Trinity Centre. You will plan, deliver and evaluate a varied community-led programme that will engage local children and families from all backgrounds and which is representative and reflective of the diverse communities surrounding the centre. You will be provided with a small project budget to support sessions and activities. To apply please download the Job Description. Complete an Application Form and accompanying personal details and equal opportunities forms and email to hr@3ca.org.uk Please note we do not accept CV applications. An enhanced check with the Disclosure and Barring Service (DBS) is required for this post, in line with our Safeguarding Policy. Trinity Community Arts is an equal opportunities employer and encourages applications from suitably qualified and eligible candidates regardless of gender, race, disability, age, sexual orientation, religion or belief, or socio-economic class. A commitment to equality of opportunity is a necessary qualification for any job within the organisation.